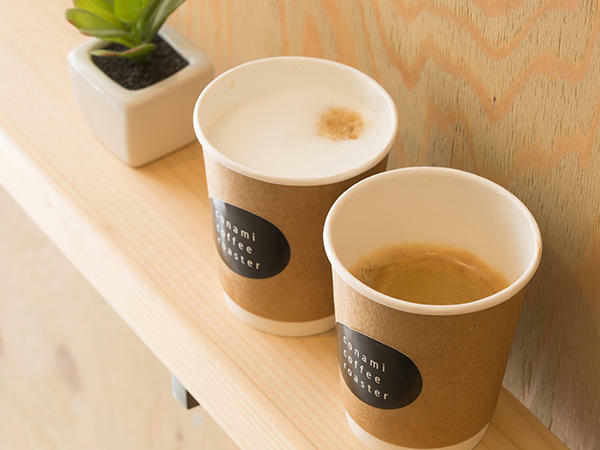 This is the first coffee shop in Japan that specializes in latte art, and employ distinguished baristas highly skilled in their craft. They extract a strong, rich flavor for their espresso that perfectly balances with the creaminess of the milk they use to make their drinks. They also serve their coffee in larger-than-standard cups, allowing customers to leisurely take their time enjoying a quality drink. 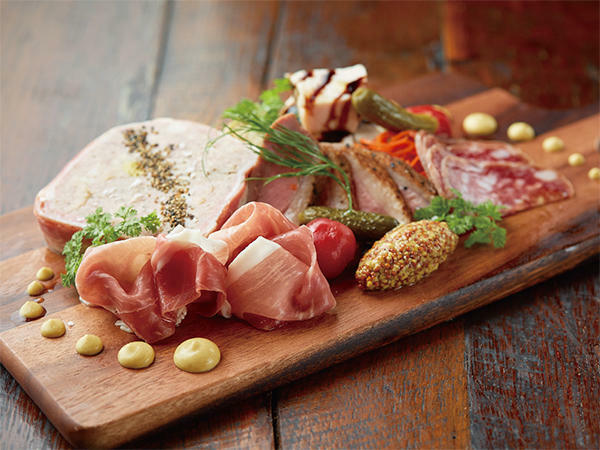 A stylish bar that places an emphasis on their meat-based dishes. 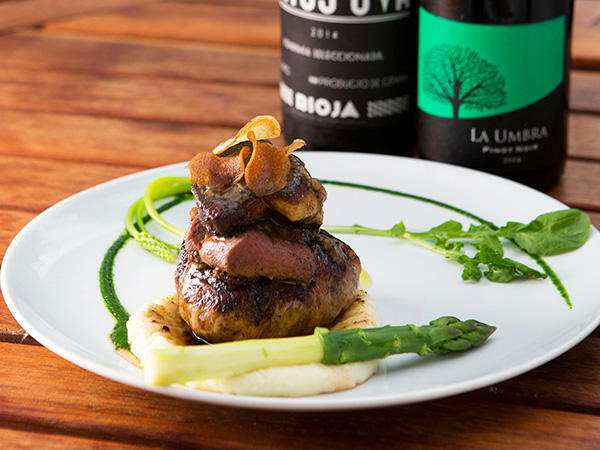 At lunch you can enjoy hearty, filling steak, and at dinner they offer a selection of meat-based dishes and tapas that pair perfectly with a glass of wine. 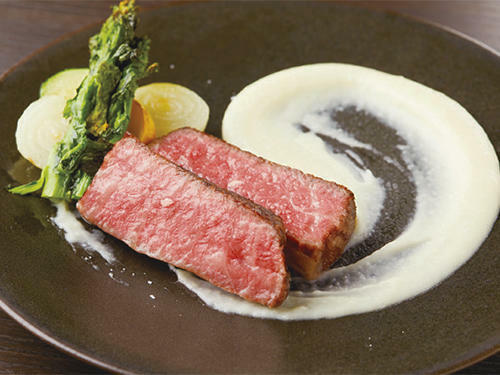 Using only fresh ingredients so that additives and preservatives aren’t necessary, they use Herb beef from Hokkaido, which is known for the high content of fat marbled through the meat, they receive fresh vegetables directly from the farmers. Under the theme of ‘travel,’ stopover tokyo is a café connected to accommodations on the upper levels of the building. 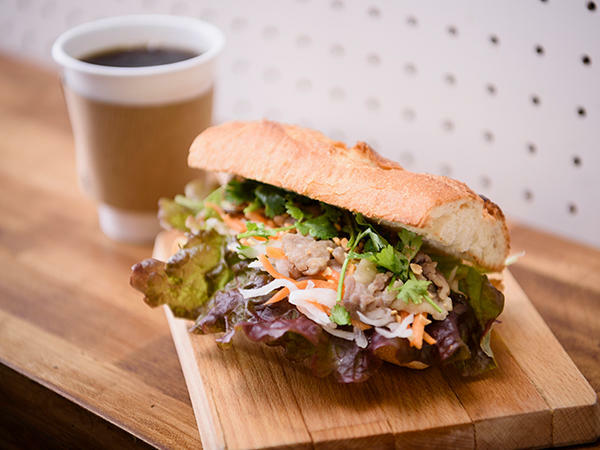 They provide a wide menu, from their baked sweets made by confectionary artists and popular banh mi sandwiches, to their limited-time sandwich and lunch menus inspired by different countries and regions. At night, you can enjoy a light meal and various kinds of alcohol. A restaurant connected to a Mie Prefecture regional specialty store. 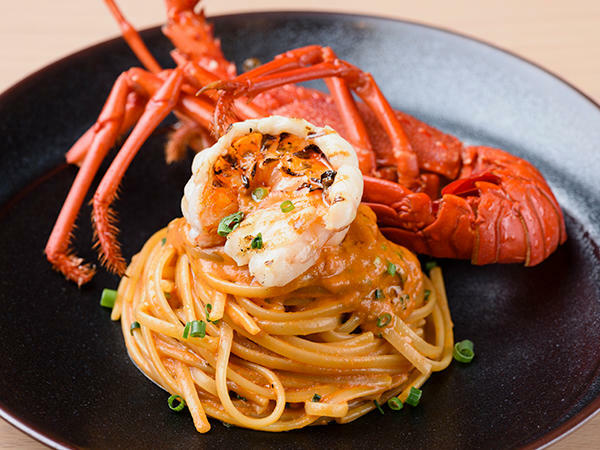 Showcasing fresh ingredients harvested from the rich treasury of Mie’s mountains, seas, and countryside, this restaurant’s menu is a fusion of Japanese and Italian cuisine. They also have a wide variety of alcohols, making it a perfect place to host any occasion including celebrations with family, meals with friends, or business dinners. This shop's specialty lies in their coffee beans, carefully selected from plantations all across the globe and roasted in-house. 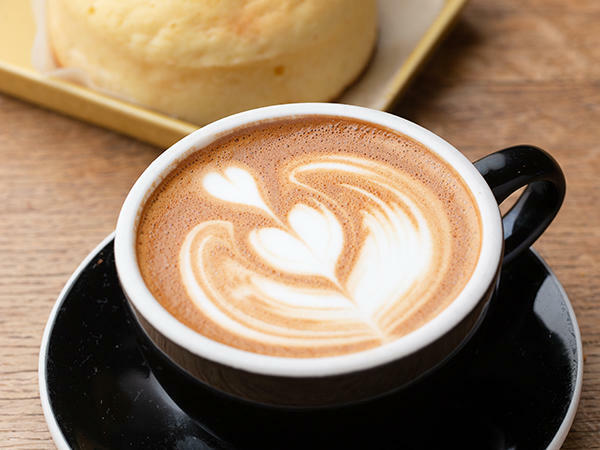 Their original coffee blends place an emphasis on the importance of aroma and smoothness, while their cafe lattes remain popular as a refreshing and delicious staple. They have a selection of over 36 kinds of coffee beans and 8 different degrees of roast, ranging from light to dark. 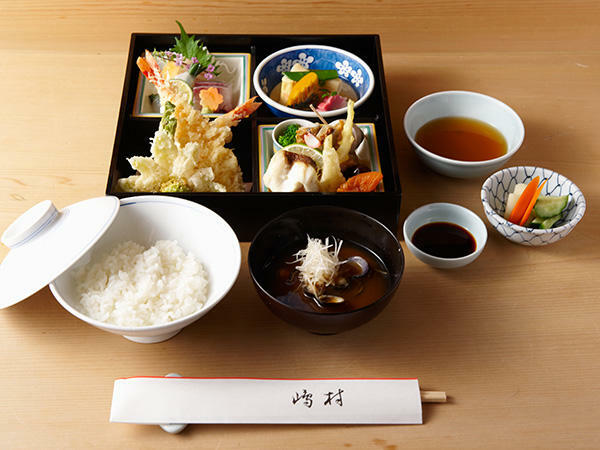 Shinetsu is a traditional Japanese restaurant that serves regional cuisine from the Hokuriku region, especially Toyama Prefecture. Their Nodoguro Shabu-shabu uses blackthroat seaperch brought in directly from the harbor, its fatty meat making a hot pot dish that melts in your mouth. 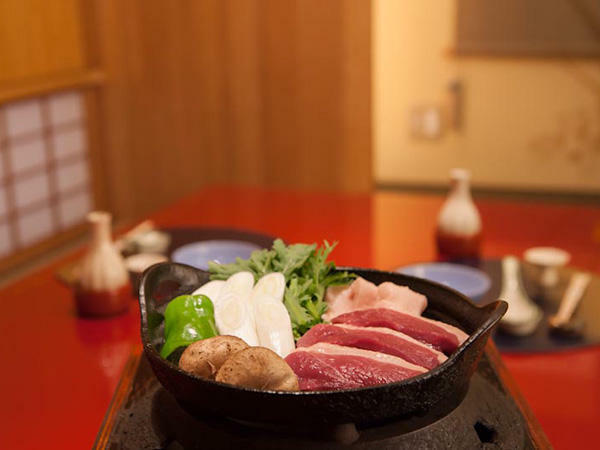 Their vast menu includes many regional specialties from Hokuriku, such as Himi beef, Meisui pork, and seasonal sashimi. 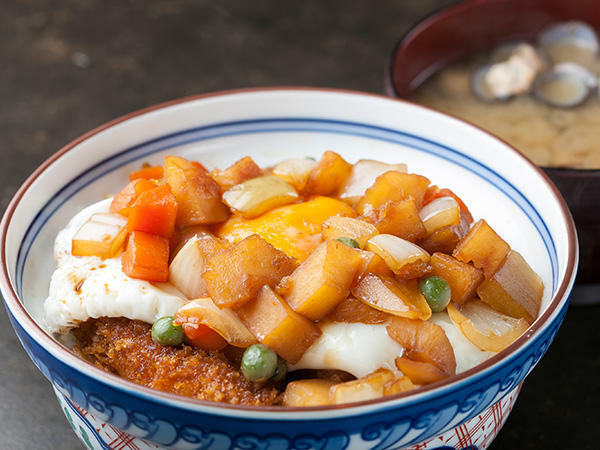 This Chinese restaurant is based on Szechuan cuisine, utilizing a variety of seasonal ingredients to create their menu. We recommend their shark fin, which uses high-quality ingredients and is cooked so that it almost melts in your mouth, as well as their boiled gyoza and whitefish simmered in a spicy soup. With carefully selected antique furniture to complement the high ceilings and warm lighting, it’s easy to relax in this café’s comfortable dining atmosphere. The staff grind their beans fresh for each cup to provide a depth of flavor to your drip coffee or espresso. We highly recommend their richly flavored ice creams as well. 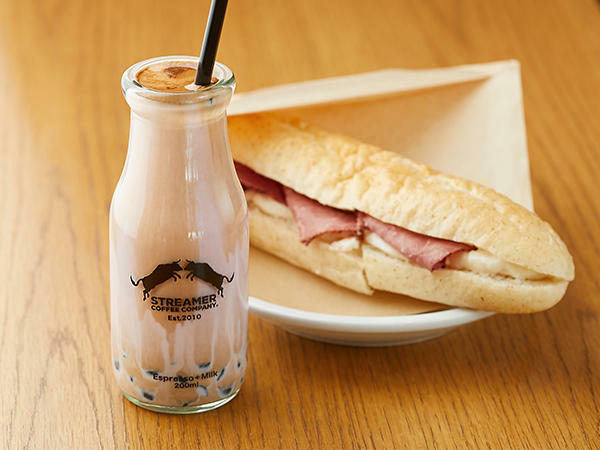 Hailing from Taiwan, this tea café uses unique recipes to make their Taiwanese teas, and lets you customize your order to ensure you’re completely satisfied with your drink. 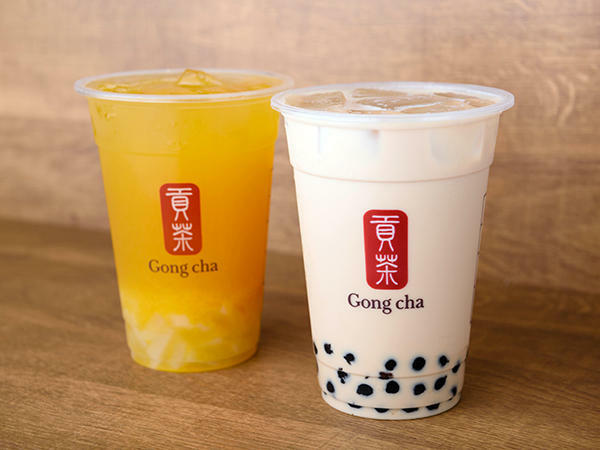 Their most popular item is their large-grain tapioca pearls, which are made in the store and take approximately one hour to make. Their chewy texture makes them the perfect addition to your drink when you’re feeling peckish! CITAN is a seven-floor hostel that hosts a coffee shop on the first floor, as well as a lounge space with a bar and dining area on the B1 floor. Here they offer a wide variety of dishes to enjoy alone or share in a group, while their drink menu sports a range of alcoholic beverages, including wine, craft beer, craft gin and whiskey. 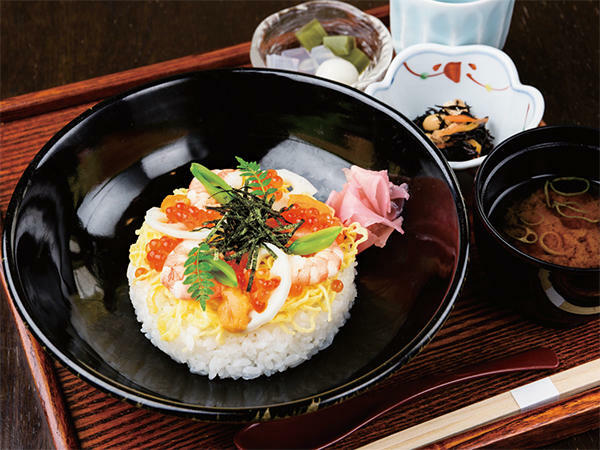 The Japanese restaurant Kawahara is known for their carefully selected ingredients, particularly their natural seafood, which they use to create delicately prepared cuisine. They make a wide variety of unique dishes, all based on the catchphrase of ‘the most important thing is flavor’. 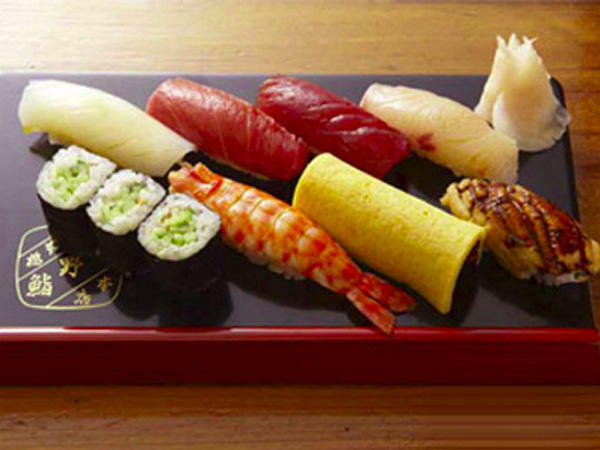 Try their ‘Yoru no Omakase Teishoku’ (‘Chef’s Evening Selection’ set meal) to get a little bit of everything. 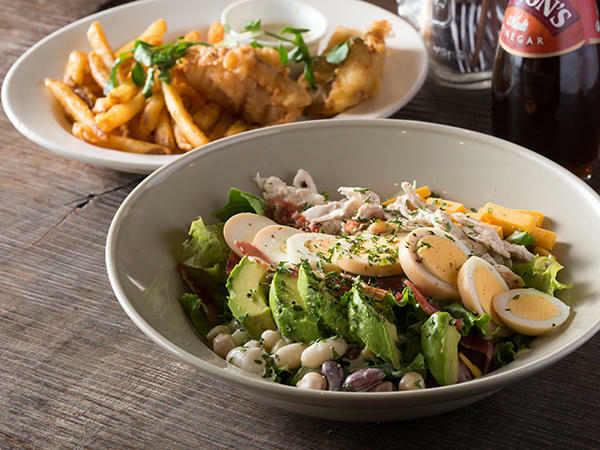 Farmers & Grill is a bistro with a light, casual dining atmosphere. 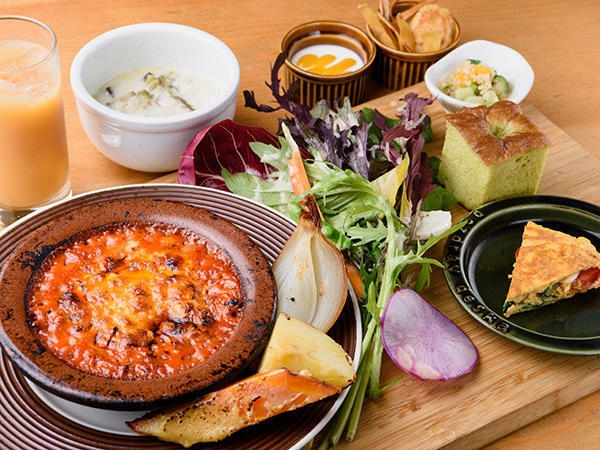 From their lunch menu we suggest trying the lasagna or steak, while they use fresh vegetables from Karuizawa, Nagano to make their healthy side dishes such as their veggie chips, vegetable juice, and tofu minestrone. Tues-Sun 11:30am – 2:30pm, 5:00pm – 11:00pm ※Two-hour time limit during peak hours. 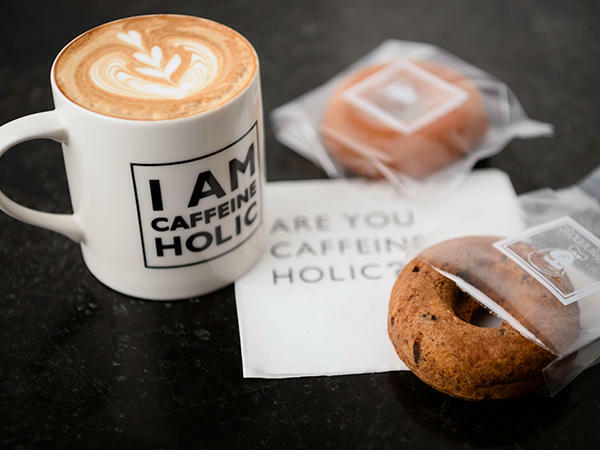 With lightning-fast prep and service, caffeineholic offers a wide range of coffee and black and green teas of your choosing. Whether served straight, steeped for a long time, or mixed with milk to make lattes, any drink ordered here is bound to be delicious. Order your drink mixed with sparkling water to make for a refreshing treat on hot days. The A.I.R Building combines art, music, and cuisine all into one facility. On their first floor, there is a café called Public Space. We highly recommend their LUVOND TEA, a popular brand produced by a tea specialist. In addition to their flavorful black teas, they also serve a wide variety of sparkling teas. 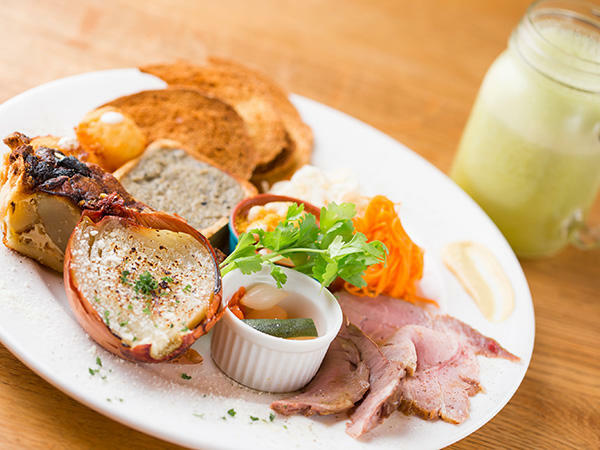 This French eatery offers traditional meat dishes rooted in authentic French cuisine, which you can enjoy in the lively atmosphere of a Japanese ‘shokudo’, or informal restaurant. With a collection of 40-50 varieties of wine, they offer not only their renowned meat dishes, but also a carefully chosen selection of seafood-based appetizers to pair perfectly with your glass. Allegro is an Italian restaurant specializing in charcoal-grilled cuisine. Afternoon service includes a large menu with a variety of side dishes that change daily, while evening service includes meat dishes and fresh fish carpaccio. A sommelier is on the premises to consult for the perfect seasonal wines to pair with your meal! This shop provides take-out onigiri and smoothies. 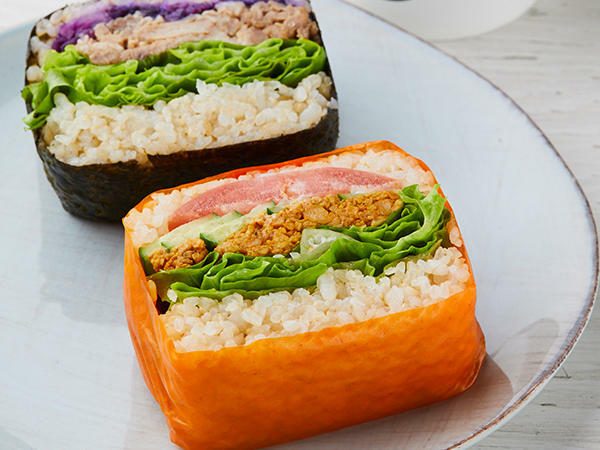 Their specialty is their Veggie Onigiri, which is filled to the brim with a colorful array of fresh vegetables, fish, and meat. The superfoods in their smoothies pack them with nutrients, making them great for healthy snacks in between meals. Get a taste of island living at Rito Kitchen, which specializes in food from islands all across Japan! We recommend the fresh squid pickled in kimo shoyu (liver soy sauce) over rice. They use a variety of ingredients harvested from approximately seventy islands, with a unique and ever-changing menu that is based on supply. Olive Tempura Tamagoromo is a tempura specialty store which cooks their dishes using only olive oil. Olive oil is high in polyphenols and vitamin E and, by naturally drawing out the flavor of the raw ingredients, results in tempura that doesn’t give that heavy sensation. Another particularly appealing point is that their ingredients change seasonally. 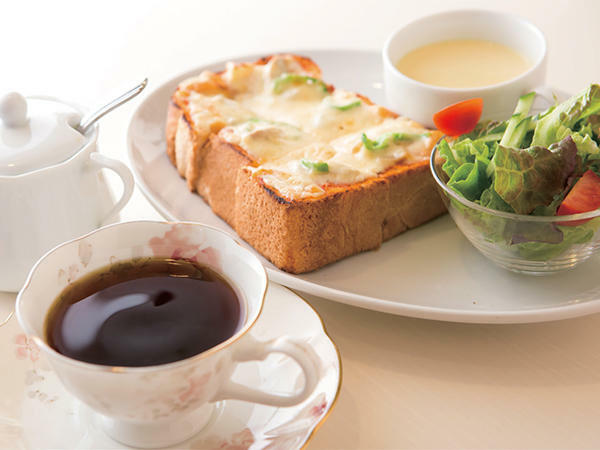 Since it was first founded, this tea shop has been popular with workers in the surrounding neighborhood. From their Golden Juice, mixing peach, apricot and strawberry, to their nel drip coffee, the taste hasn’t changed since the olden days. At Kochi-ken Geisei-mura Tosagamo Nihonbashi they serve food using Tosagamo (Tosa Duck). Because it’s always served fresh, as well as their duck loin and duck legs, here they have unrivalled grilled dishes such as duck liver. You can also enjoy a famous specialty of Kochi prefecture, Katsuo Warayaki (straw-smoked bonito), paired with a complementary dry local sake. This year, Eitaro Sohonpo will celebrate 200 years since it was first founded. 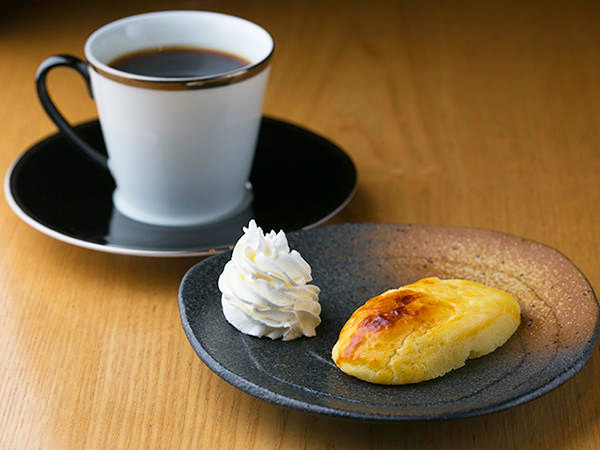 Established inside the Nihonbashi store, the Setsugekka cafe has been adored by customers for a long time. Their meals include the Sekihan Bento (red rice lunchbox), consisting of vegetable tempura, seasonal nimono (simmered dishes), rolled omelette, and chicken meatballs with a clear broth soup, which you can pair with a sweet dessert such as seasonal Japanese sweets. 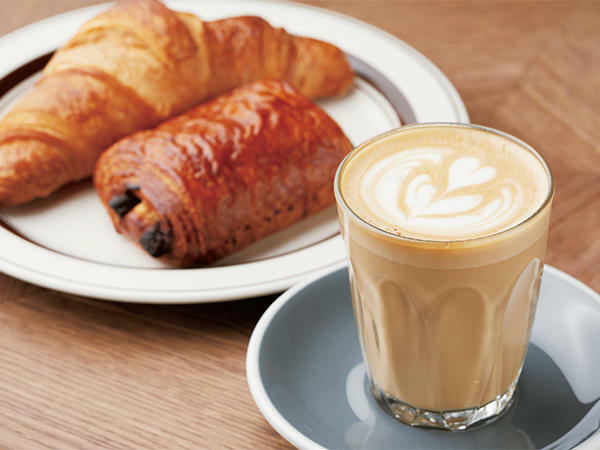 With a wealth of menu options to enjoy from morning until night, drop by and have a coffee on the way to work or for a drink on the way home in the evening. 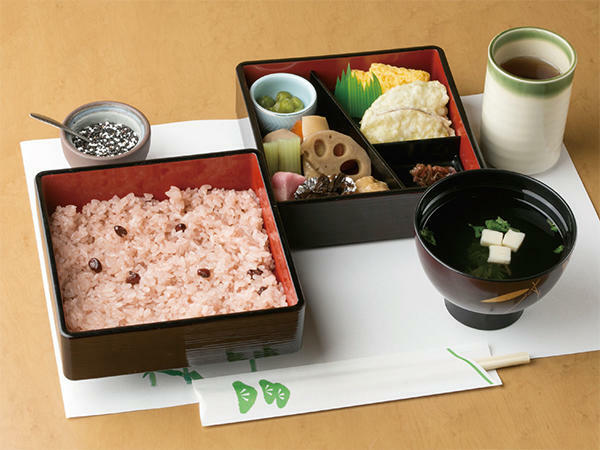 Starting with their Genmai Lunch (brown rice lunch), popular with women who are trying to eat healthily, the colourful dishes on their menu are varied, nutritious and filling. Cillic is a comfortable Italian restaurant located in Higashi-Nihonbashi. Their seasonal ingredients include carefully hand-picked vegetables from Miura Peninsula in Kanagawa and fish transported directly from Hokkaido and Okayama Prefecture. In addition to their grand menu, they can also create dishes to your personal liking using fresh ingredients from that day. The Museum Café is inside the Mitsui Memorial Museum and serves noodles and other seasonal meals, as well as various sweets. The menu changes depending on the exhibits, making it perfect for right after exploring the museum. The high ceilings create a relaxing, enjoyable atmosphere. 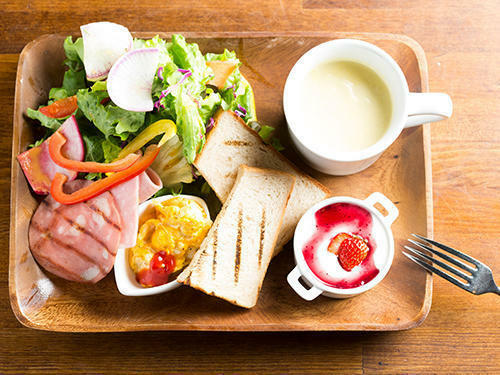 Gate CAFÉ serves healthy dishes made using ingredients from Niigata Prefecture. 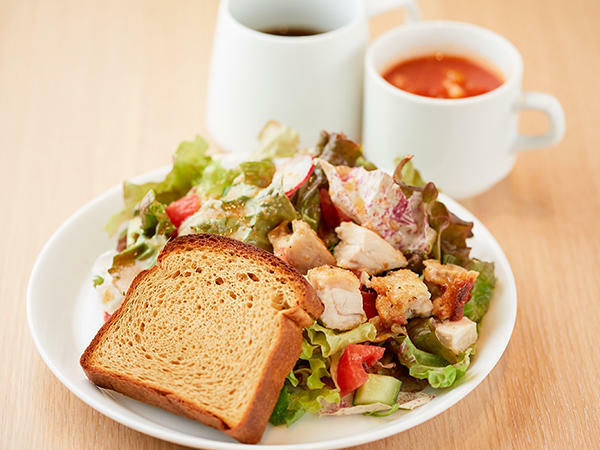 Their most popular items include the Fresh Salad with Niigata Vegetables and Grilled Chicken Set Menu, which uses seasonal vegetables sent directly from Niigata, and their Yukimuro Blend Coffee, in which the roasted beans were stored in a yukimuro, or snow refrigerator, to bring out the flavor. Sanriku Tenkai no Robata is an izakaya where you can eat and drink seafood and sake to your heart’s content, all brought directly from Miyagi Prefecture. To fully enjoy the delicious taste of the fish they serve, fill up on their eye-catching, thickly-sliced sashimi made fresh from a seasonal catch. 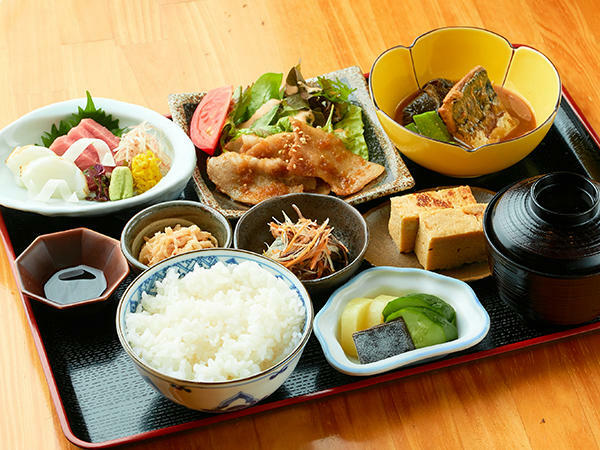 Robata-yaki, or items cooked on a charcoal grill, such as their Kinka mackerel, thickly-sliced beef tongue, and triangular deep-fried tofu from Joge-san (Saihou-ji Temple), make the perfect accompaniment. 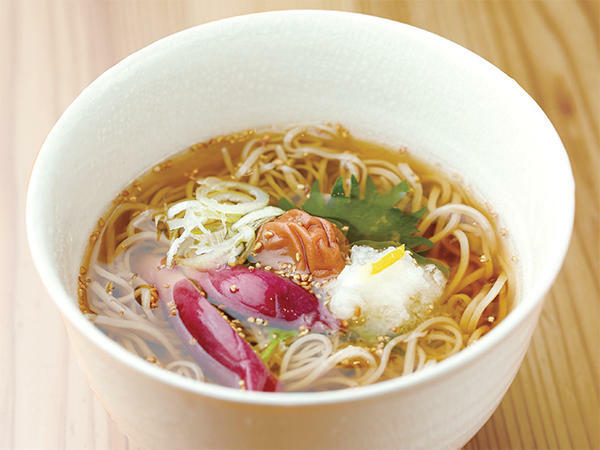 Sunaba is credited with the creation of ten-zaru and ten-mori soba, both staple soba buckwheat noodle dishes. Here, you can pair alcohol with Tokyo-style soba noodles exactly how you like them, from their mori soba, which uses high-quality buckwheat flour made from only the center of the grains so you can enjoy the fragrance of the buckwheat itself, to their zaru soba, satiny smooth noodles also made using high-quality buckwheat. Closed Sundays and national holidays. 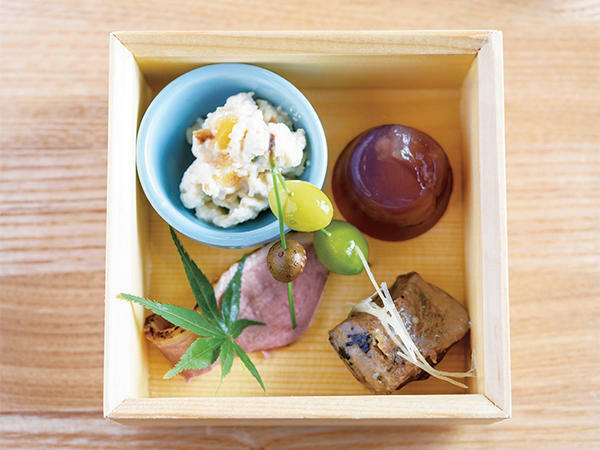 Here you can enjoy the rich flavors of Shimane Prefecture. They serve dishes made using local ingredients, such as vegetables and seafood. 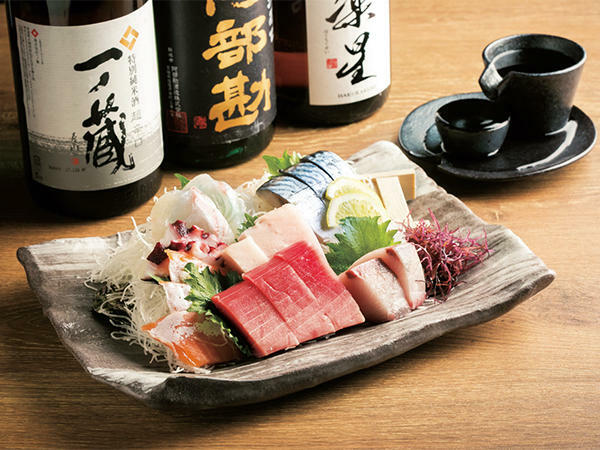 From a fishermen’s dish called Saba-shabu, to winter tastes such as Japanese amberjack and snow crab, they also have a wide range of local sake from Shimane so you can find the perfect match for your meal. 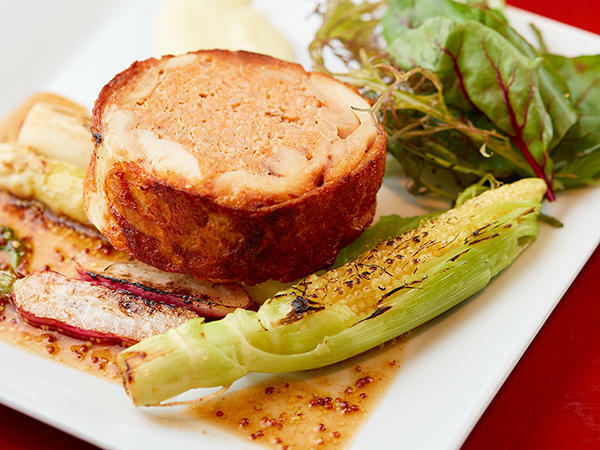 This bistro offers carefully-picked ingredients in a casual atmosphere. 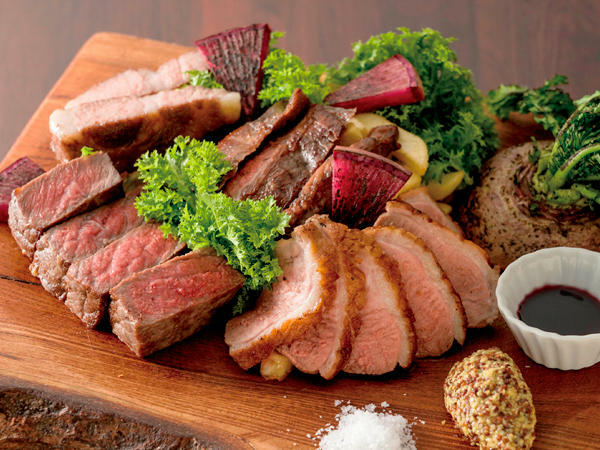 Their meat dishes, from Japanese beef and brand-name pork to duck or sheep, are carefully cooked to enhance the flavor, making them a popular menu item. Enjoy with fresh vegetables, harvested every day in Miura, Kanagawa Prefecture. Nihonbashi Kimura Bldg. 1F, 1-16-3 Nihonbashi, Chuo-ku, Tokyo. This coffee shop comes from Byron Bay, on the easternmost tip of Australia. Using organic beans, you can enjoy a rich taste and full flavor. Their original items, such as banana bread and clam chowder from their limited-time winter menu, are highly recommended. Tiny Toria is reminiscent of a teahouse in the British countryside, with 5 or 6 different types of sweets always on hand. 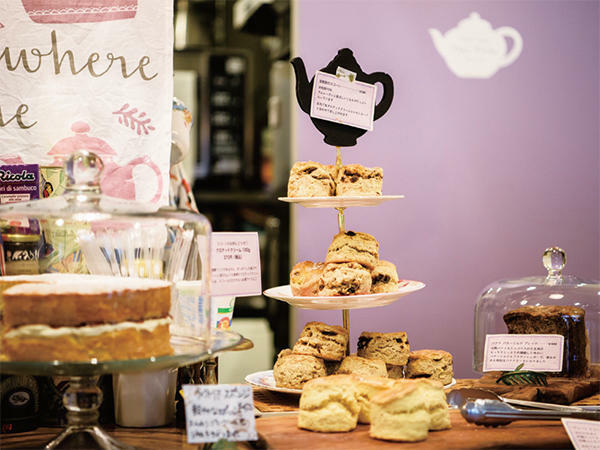 Enjoy some Yorkshire tea with delicious treats such as a classic scone or rich banana buttermilk bread. Kushiemon is an izakaya which serves mainly yakitori. Their most popular dish is their karaage fried chicken, prepared with a secret dipping sauce in which they are stored for one day. They are also known for their kushiage, or skewers, creative dishes such as their udon noodle gratin made with a Japanese soup stock base, and so much more. If you like nihonshu, or sake, try the Kikizake Set, in which you can compare different kinds of sake. The owner of this café was trained in a popular hotcake shop. 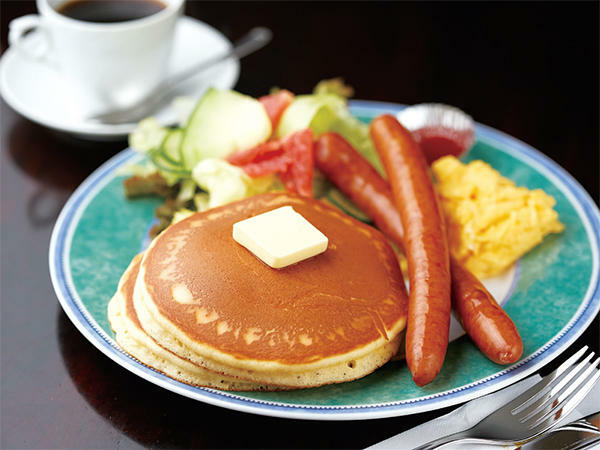 Only once an order is made is each and every hotcake carefully cooked on the copper plate until golden brown. 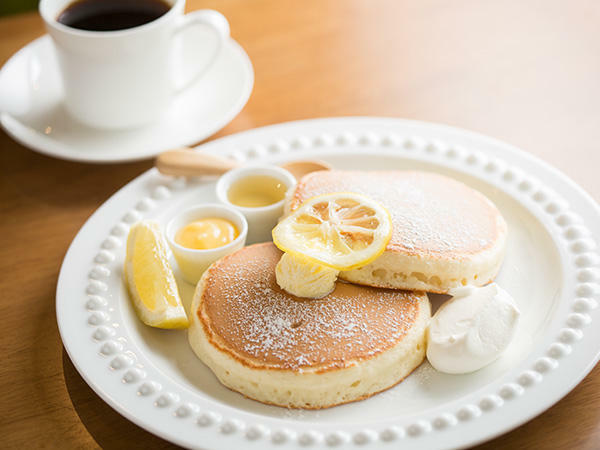 These Showa period-style hotcakes are beautiful to look at, very light and fluffy, and only slightly sweetened. This Japanese seafood restaurant from Mihama City in Fukui Prefecture plays a leading role in maintaining the culture of ‘jyukuseigyo,’ whereby fish is fermented to increase its umami flavors. 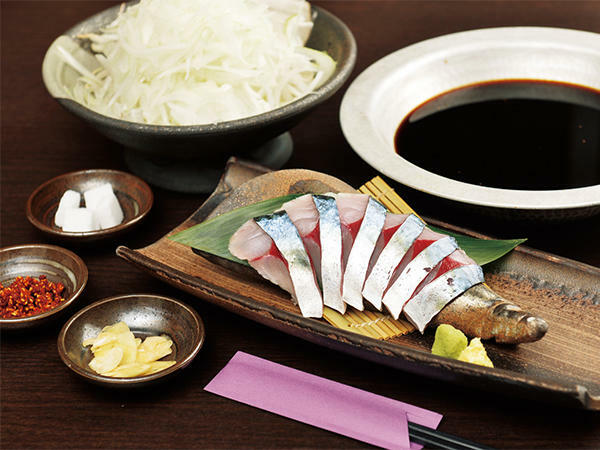 You can enjoy a variety of carefully-prepared seafood dishes, including Japanese amberjack fermented in salt. 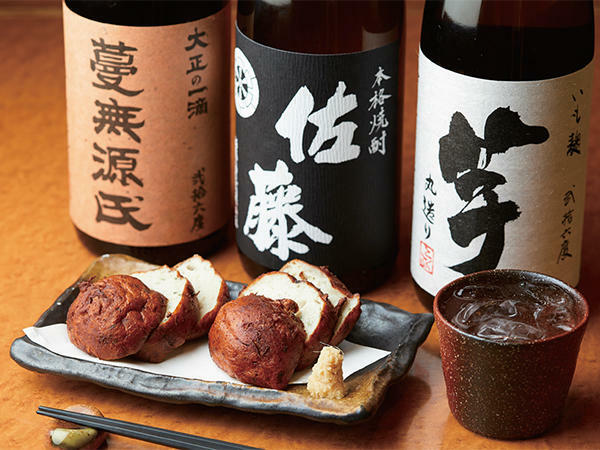 It’s also recommended as your second stop of the night, as they have a number of local Fukui sake brands and natural wine specially-selected to match their Japanese cuisine. 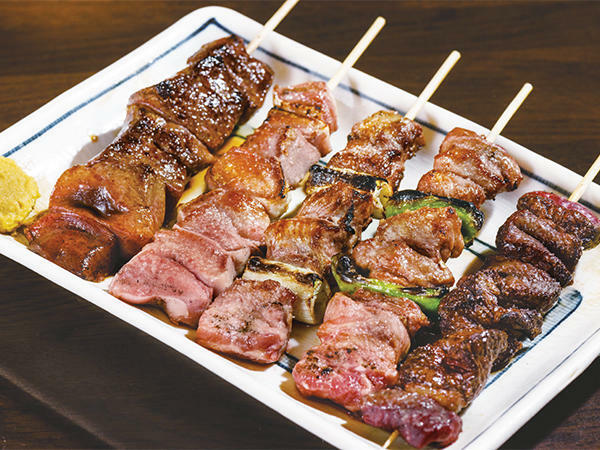 Yakiton Hyottoko is a Japanese style pub that serves healthy motsuyaki, or grilled offal. 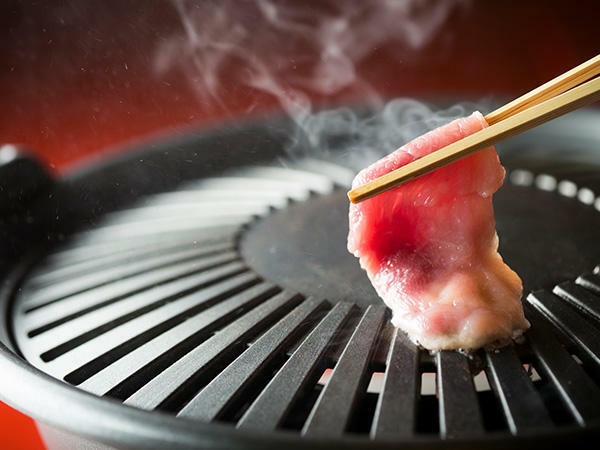 Their most popular menu items are the ‘santen sashimori’ (three types of sashimi, or raw fish) and the ‘omakase gohon’ (five varieties of skewered meat). Both their raw and grilled dishes are delicious because they only use fresh ingredients. 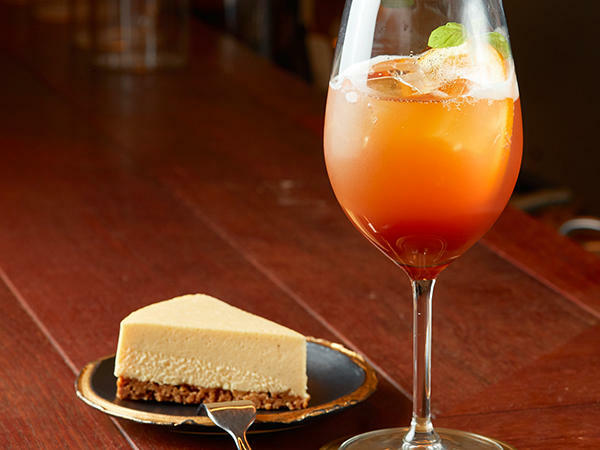 The motsuyaki matches perfectly with an alcoholic beverage, and they have a number of items to choose from, including a refreshing lemon sour drink. 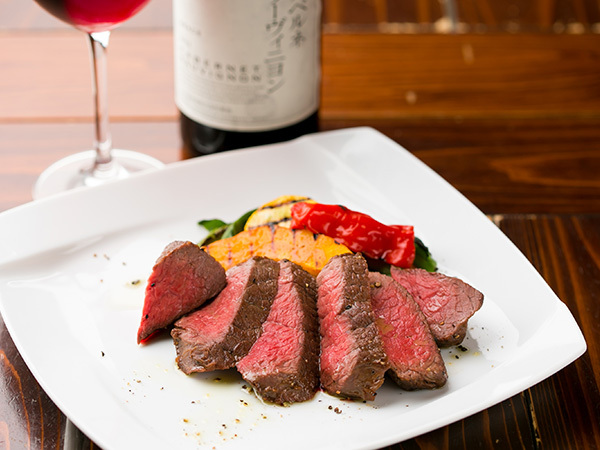 Hourai is a Chinese restaurant where you can enjoy a perfect blend of Chinese food and wine. Taste a range of wines carefully selected by the sommelier from all over the world. One of the dishes that has been popular since it was first established is their “Tokusei Yaki-Gyouza” or grilled dumplings filled with a lot of juicy meat broth. 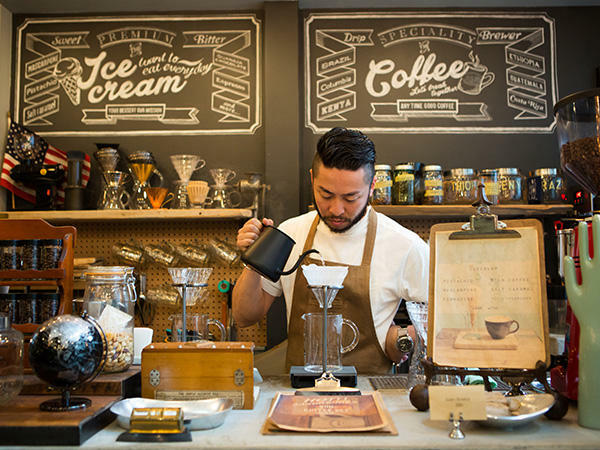 UNISON TAILOR COFFEE & BEER is a cafe where you can enjoy specialty coffee. They also serve craft beer, in addition to their high-quality coffee, which is made with beans rich in flavor and carefully hand-dripped for each cup. Bakushuan Nihonbashi is a place where you can enjoy Japanese cuisine made with fresh ingredients, together with sake and craft beer. The seafood used in the restaurant is caught every morning using a unique technique that doesn’t cause stress on the fish. They have over 80 varieties of sake and 11 varieties of craft beer that comes mainly from Japan. *If Monday is a national holiday, the shop remains open on Sunday. An izakaya (Japanese-style pub) where you can enjoy cuisine from Kagoshima and Kyushu, as well as reasonably-priced shochu liquor from breweries in Kagoshima. The entire menu is lovingly handmade using fresh ingredients, with items that go perfectly with shochu, such as their handmade satsuma-age (fried fish cakes). A casual bistro where you can enjoy French cuisine and 70 types of wine. 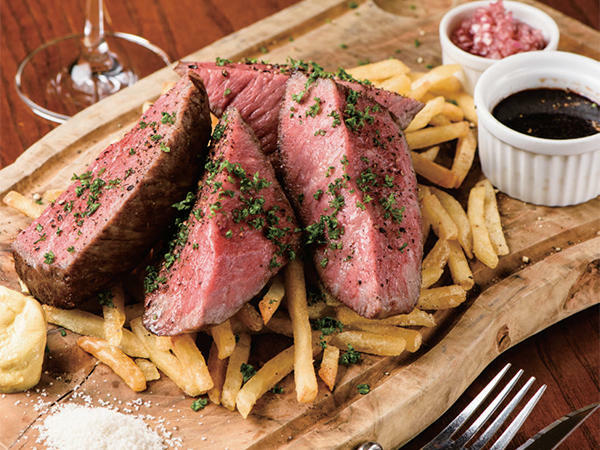 They offer traditional French cooking, their menu including dishes such as thick cuts of meat, charbroiled to bring out the flavor. Every day 4:00pm-11:00pm (last order 10:00pm) ※Fridays/National Holidays until 12:00 midnight (last order 11:00pm). A soba restaurant that specializes in delicious buckwheat noodles with the perfect balance of elasticity and chewiness. One of their highly recommended dishes is their chilled plum noodles accompanied by a high-quality dipping sauce. This dish is particularly tasty and cooling during the hot summer months. Enjoy the noodles with crunchy, mouth-watering tempura and Japanese sake for a perfect meal. A café located on the first floor of a hostel. The carefully selected coffee beans in this café are lightly roasted to ensure that the unique fragrance and flavor of the coffee beans can be fully enjoyed. This café also has a relaxing lounge in the basement. This coffee shop is known for its roasted coffee beans that are carefully selected from all over the world. They have a range of coffees, from deep to light roast, and you can choose from 12 types of straight and 4 types of blend varieties. 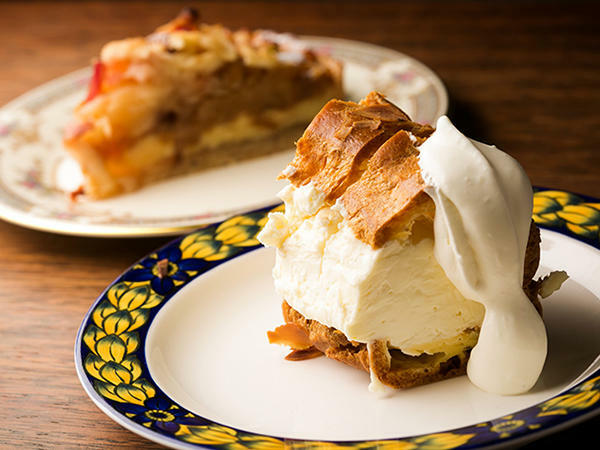 Relax in the café as you pair the coffee with a light meal such as pizza toast or enjoy some dessert, like their apple pie with ice cream. A restaurant specializing in Okinawan cuisine that focuses on the unique flavors of their ingredients, brought directly from Okinawa Prefecture. In addition to their popular goya champuru (bitter gourd stir fry), they also have a range of newly-brewed sake, aged sake, fruit wines, as well as beer and the distilled Okinawan liquor awamori, with a number of delicacies to pair them with. Enjoy a delicious meal with your friends and immerse yourself in the Okinawan atmosphere. An Italian restaurant run by sommelier Ryo Shimazawa, a judge in one of Asia’s top wine competitions. 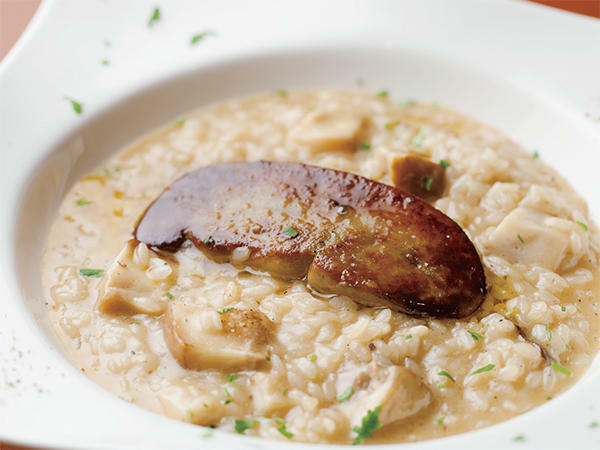 They have a wide selection of aged wines, which they recommend ordering together with the high-quality French foie gras risotto. Ningyocho ESÉRY is a French restaurant located in an 80-year old building that used to be a shop selling tabi, or Japanese-style socks. They use fresh fish, as well as an abundance of seasonal vegetables. With the wide variety of Japanese fruits and vegetables served, their dishes are perfect for pairing with Japanese sake. 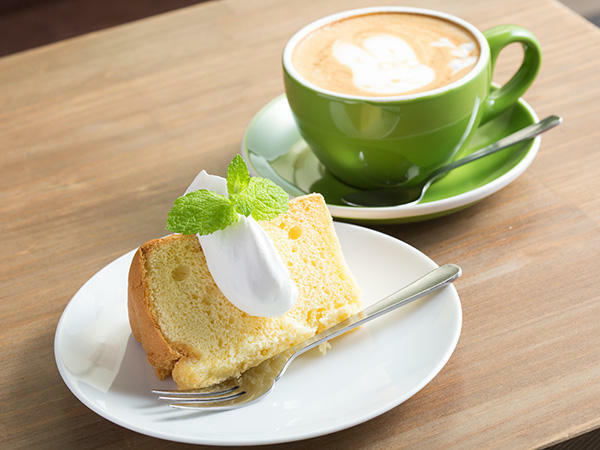 Muromachi café HACHI offers a variety of food ranging from dishes made from fresh vegetables and carefully selected brands of chicken to patissier’s special sweets. Since it’s open from 7:00am to 11:00pm, you can drop in any time you like. Also, the café can accommodate large groups of people since it’s bright and spacious. 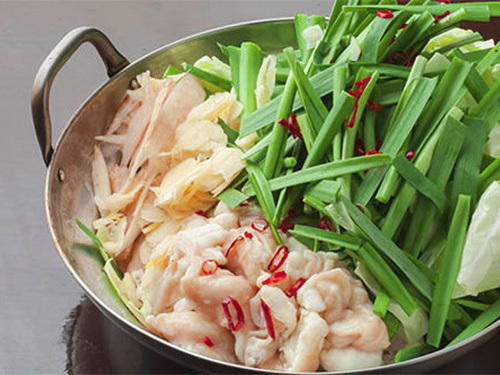 Yamasho Ningyocho specializes in motsunabe, or offal hot pot, as well as local sake and fish from Kyushu. 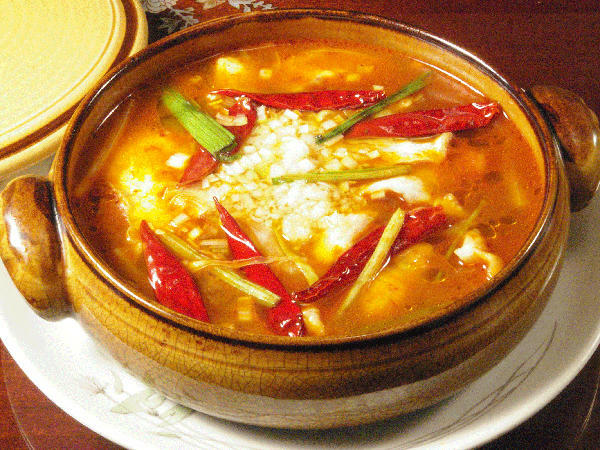 Their hot pot contains succulent beef tripe, grated burdock root, cabbage, garlic chives, chili peppers, and garlic. 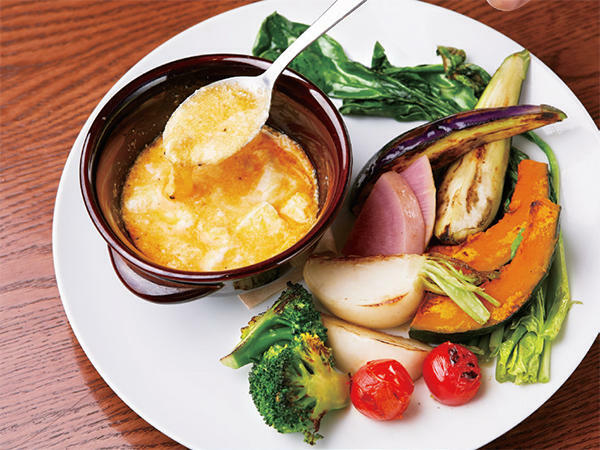 Choose from a lightly flavored soy sauce or the creamy Saikyo miso for the broth. 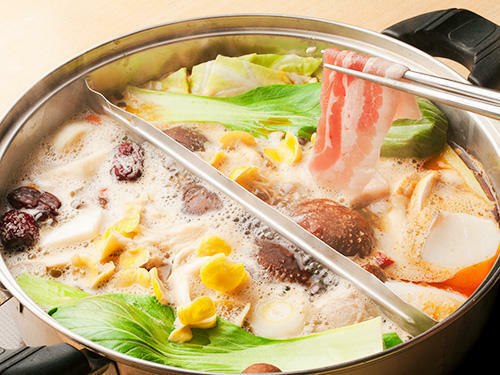 This Nihonbashi restaurant specializes in medicinal herb hot pot dishes from Taiwan. 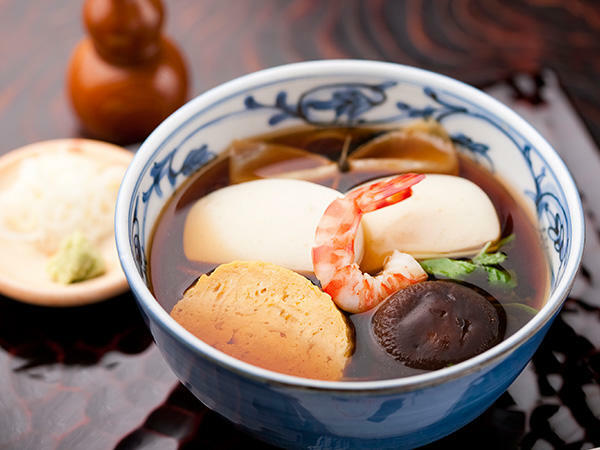 Their popular Ten Shan Fay Way hot pot is made with a variety of plants and herbs, and consists of a spicy red soup and a white soup, which you can blend to fit your tastes. It’s said to be good for nutritional fortification and beauty, so definitely give it a try! Not only can you have lunch on a comfortable sofa in a relaxing atmosphere, but you can also enjoy a drink at their bar in the evening. 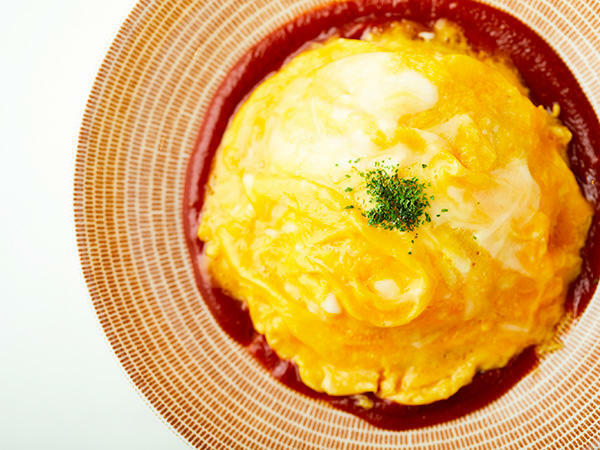 The cafe's most famous lunch item is omuraisu, a dish consisting of rice topped with a fluffy yet creamy omelet. 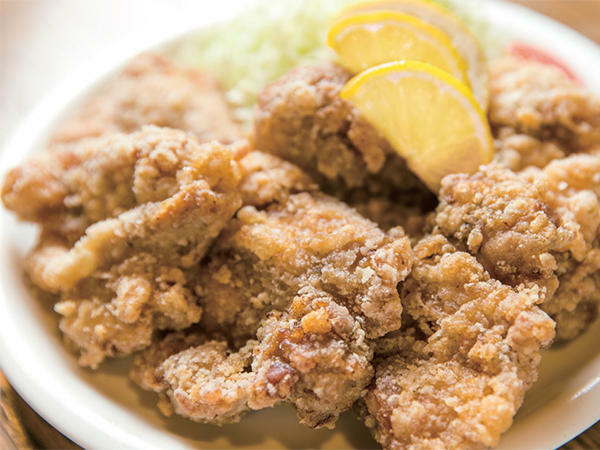 The tatsuda fried chicken, made with young chicken for a light flavor, and home-cooked curry are also popular dishes. 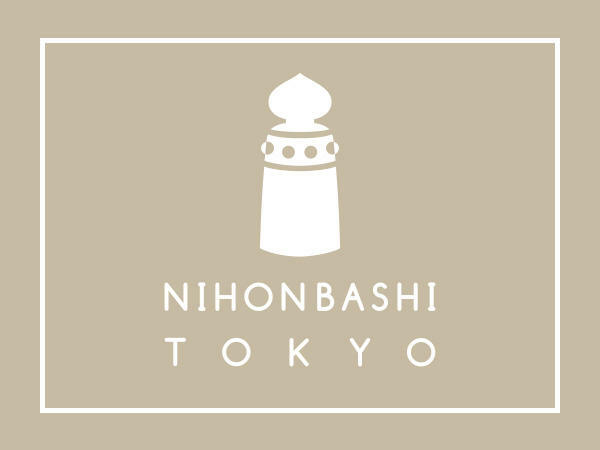 Nihonbashi Mon prides itself on its delicious, fresh seafood. With fish from Nagasaki Prefecture’s Goto Islands, they offer high-quality Japanese dishes for each season, available to enjoy at an affordable price. Pair your meal with some Japanese sake, which you can select from their extensive drink menu. Cafe Apple, located near the Ningyocho intersection, grinds their beans after an order has been placed, and uses water heated to 98℃ to create the perfect drip coffee. The cakes made by the owner’s wife are also popular, and the cheesecake in particular goes especially well with coffee. 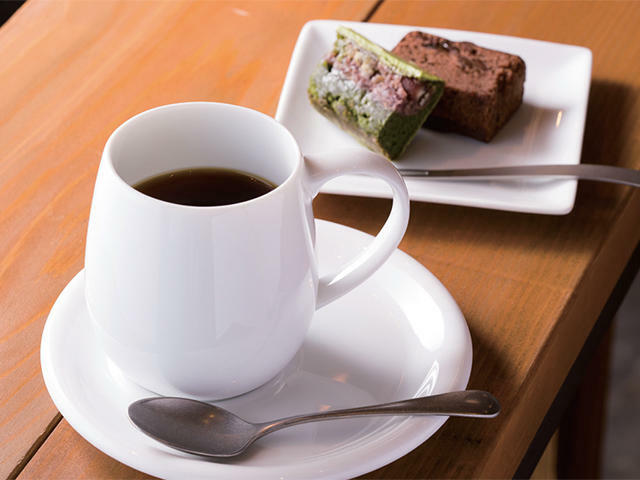 WA CAFE AIM, located near Kayabacho Station, uses coffee beans from Kyoto, which are characterized by their sharp flavor. Their menu boasts a wide variety of food and alcohol, including their popular ‘legendary pork curry’ and a range of rare Japanese sake varieties. Hamacho Kaneko is a handmade soba restaurant in Hamacho, with soba rich in flavor and with a smooth texture. 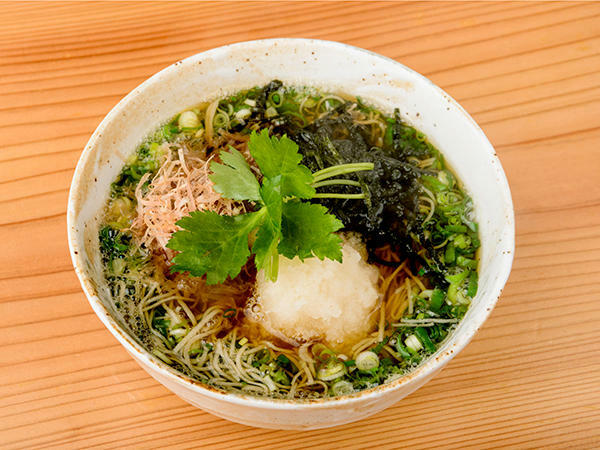 The soup is made from the perfect combination of skipjack tuna, kelp, dried shiitake mushrooms, and dried sardines, which brings out the subtle flavor of the soba noodles. They also have a wide range of sake and alcohol with plenty of side dishes to match. At Y-wine you can enjoy to your heart’s content the wine of Yamanashi Prefecture, a region that has been famous for winemaking for hundreds of years. 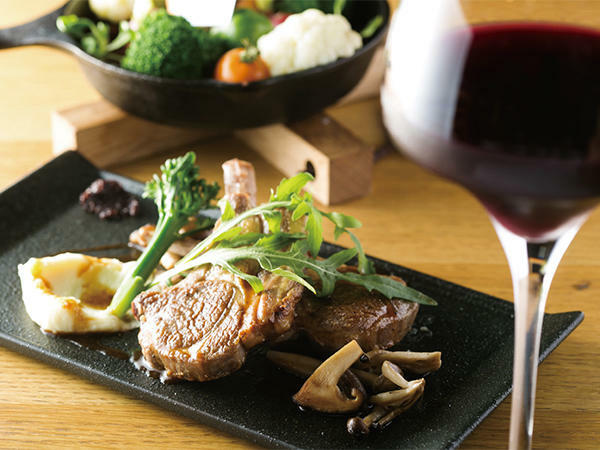 They normally have over 150 kinds of wine to choose from, as well as a variety of dishes using seasonal ingredients from Yamanashi. 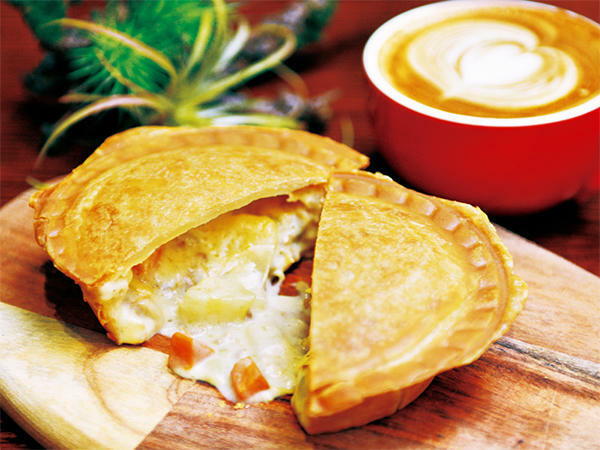 Take your time and enjoy some coffee and handmade desserts in this relaxing cafe. The coffee served is a perfect blend of bitterness and acidity. They have 8~10 kinds of sweets available each day, including muffins, cookies, and their daily cake special. 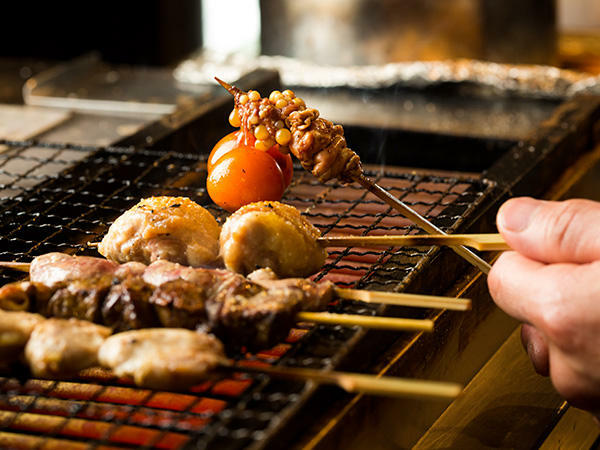 A grilled chicken restaurant specializing in yakitori (chicken skewers). At Torihada they can adjust it during grilling to ensure it’s cooked just right: that the skin is firm, the chicken meat is well-done, and they get the best flavor possible from the chicken. They also provide a wide range of alcohol, in particular rare brands of Japanese sake. 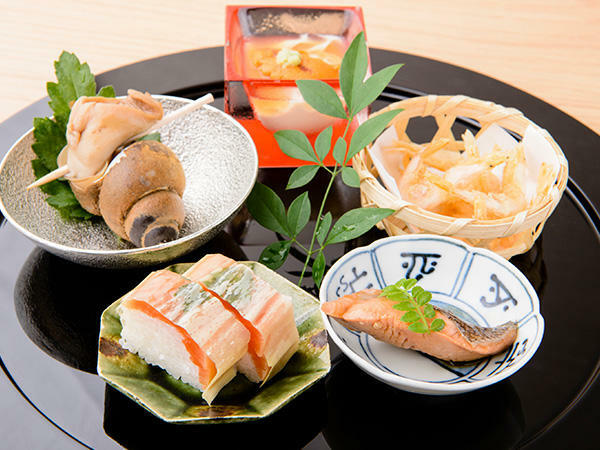 Enjoy Japanese cuisine inside Toyama Prefecture’s regional specialty shop. 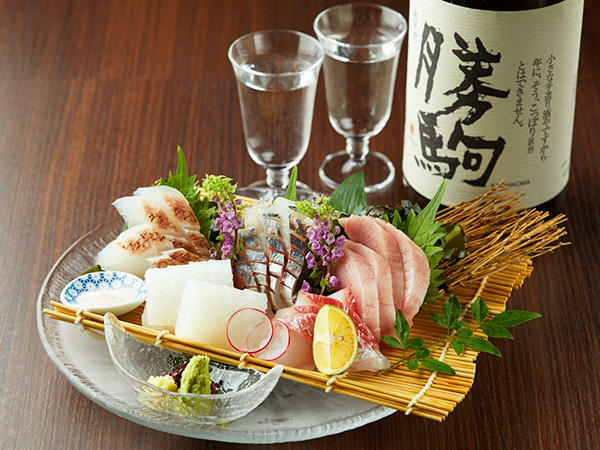 Here you can partake in dishes using fresh fish from Toyama Bay and try a range of Japanese sake. You can choose from a wide variety of sake, or order a tasting set which has three kinds of sake for you to try. 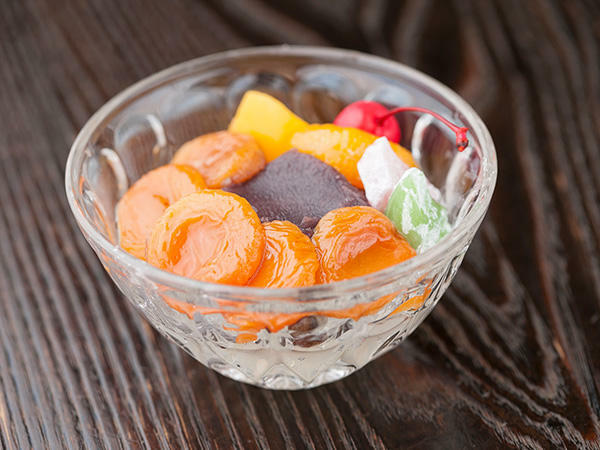 Enjoy a variety of traditional Japanese sweets at Eitaro Sohonpo Setsugekka. You must try their ‘anmitsu’, made from ingredients including fruit, red bean paste, and agar-agar, covered with homemade kuromitsu brown sugar syrup. You can also sit at the counter and eat the sweets being sold in their shop window, along with a beverage to go with them. Enjoy the casual Italian atmosphere at Purana BARCA. 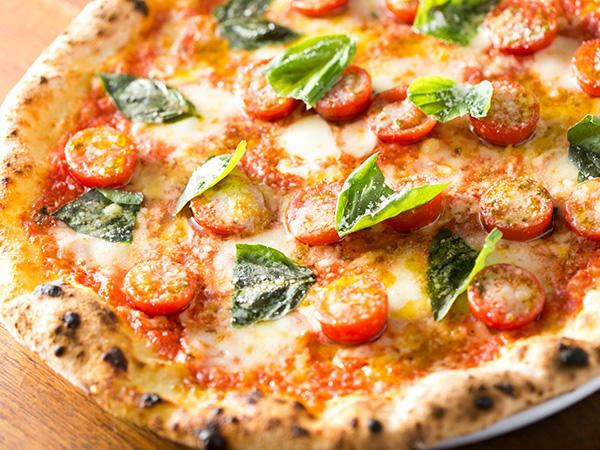 The interior has been designed in the style of a New York trattoria, and they use seasonal ingredients and serve pizza baked in a stone oven. A standing-only bistro which offers a unique menu utilizing seasonal fish and vegetables. They also have a wide range of Japanese alcohol, due to being managed by a sake wholesalers. At Fujiya, they also stock around 100 kinds of wine, with an emphasis on New World varieties. A popular cafe, named after the cheer “olé,” that sells pancakes and self-roasted coffee. Each cup of their dark roast drip coffee is carefully made using freshly ground beans and has strong acidic and bitter flavors. Near Nihonbashi Bridge, why not gaze at the river while enjoying traditional cuisine from Fukui Prefecture? 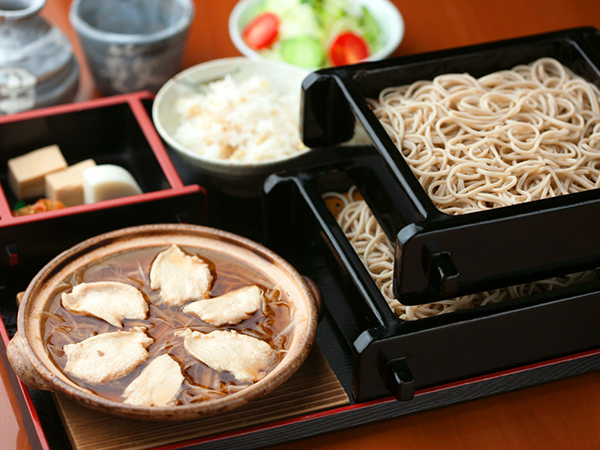 The key ingredient in their speciality, Echizen Oroshi Soba, is the spicy daikon radish used in their tsuyu dipping sauce. Some of their other recommended dishes include fish that goes perfectly with Japanese sake, and local dishes from Fukui prefecture. With the concept of a casual bistro where you can eat an abundance of fresh vegetables, this restaurant offers a menu rich with vegetable dishes. Union Sand Yard’s vegetable juice is highly recommended, and uses different vegetables depending on the day. They also have many natural wines available to enjoy. 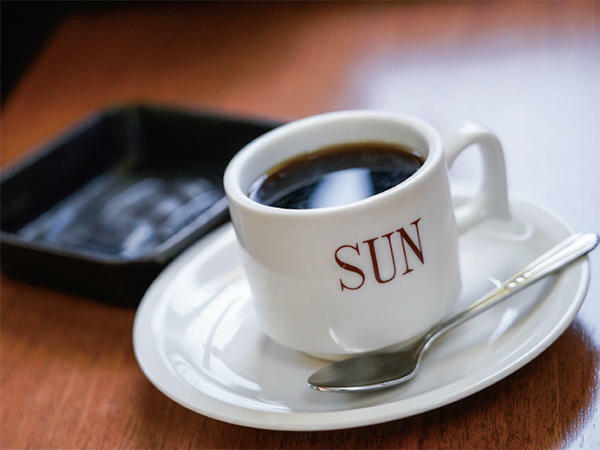 This cafe primarily uses coffee beans from Africa, and specializes in light roasts that bring out the inherently fruity flavors from the beans. Nine types of beans are usually available, all with a fruity flavor. Their ice cream is also very popular and is perfect with a cup of coffee! 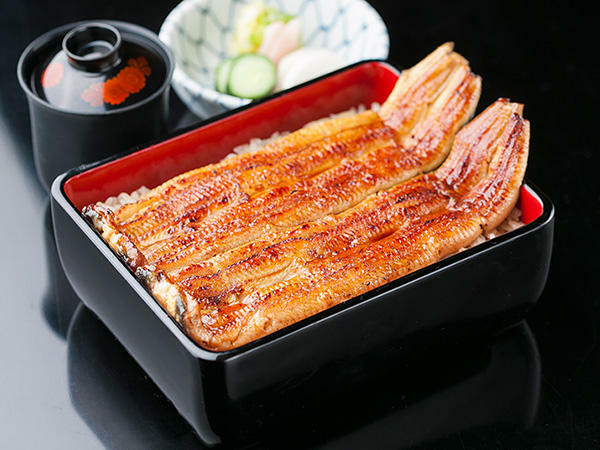 The broiled eel is crisp on the outside, soft on the inside, and is grilled in a tare sauce that perfectly balances the sweet and salty flavors. The store, with its symbol of a weeping willow, is also worth a look as it showcases the beauty of Japanese construction both inside and outside. Housed in an old-fashioned wooden structure, Kiyokawa is famous for eel cuisine, either served over rice (una-ju) or in full-course meals. Eel slowly grilled over binchotan charcoal is tender and literally melts in the mouth. 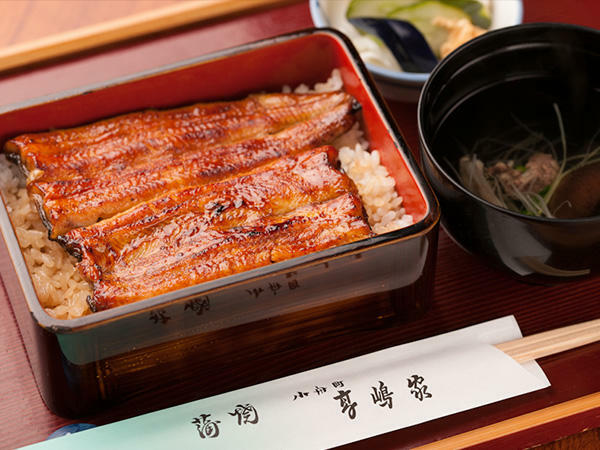 Takashimaya has a long history and was a favorite of historical figures like the brother of China’s “last emperor.” The distinctive tare marinade for the eel served here heightens its delicate flavor, and eel filets are served over specially-selected rice. Originated the toro nigiri fatty tuna sushi, on rice flavored with salt and vinegar and brushed with ni-kiri soy sauce as the finishing touch. Prices at Yoshino Sushi Honten are reasonable, in keeping with sushi’s reputation as the original “fast food” of Edo Tokyo. Janoichi Honten offers a casual setting for tasty sushi. Its famous anago (conger eel) sushi is brushed with marinade that has been kept replenished ever since from the original batch. Enjoy with the best sake offerings from all over Japan, selected by a sake sommelier. 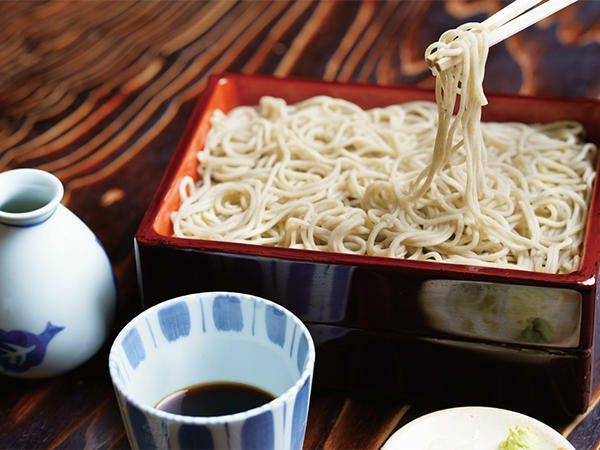 Serves two types of soba buckwheat noodles: silky zaru and full-flavored mori, which can be enjoyed either by themselves or together with tempura. “O-kame soba” is a popular dish that resembles the humorous “O-kame” Japanese mask. The traditional gate fronting Yabuizu Honten gives it a distinctive atmosphere. The noodles served here are made from buckwheat ground in-house twice a day, for unmatched freshness and sweetness. The third-floor hall offers traditional comic storytelling at irregular intervals. Silky and fragrant soba buckwheat noodles are on the menu here. This restaurant’s signature dish is “curry Namban soba,” buckwheat noodles in thickened curry sauce with either pork or chicken, and your choice of spicy kick. Chojuan serves soba buckwheat noodles made from freshly ground buckwheat from all over Japan. Tempura dishes feature the tastiest seasonal vegetables and fish. 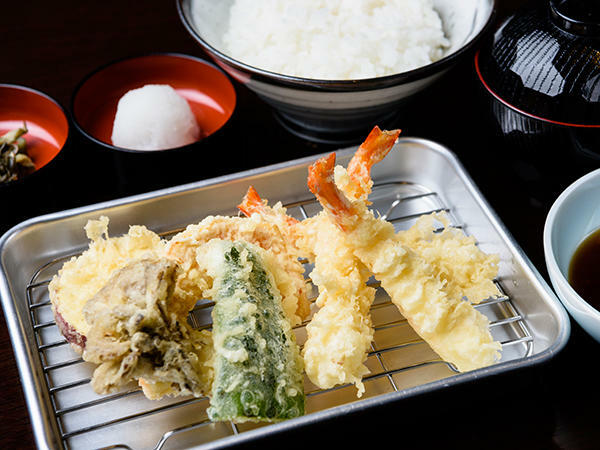 Deep-fried in sesame oil, the fragrant tempura served at Tenmo enhances the flavor of the seasonal ingredients. Diners can enjoy a leisurely meal in a traditional setting. 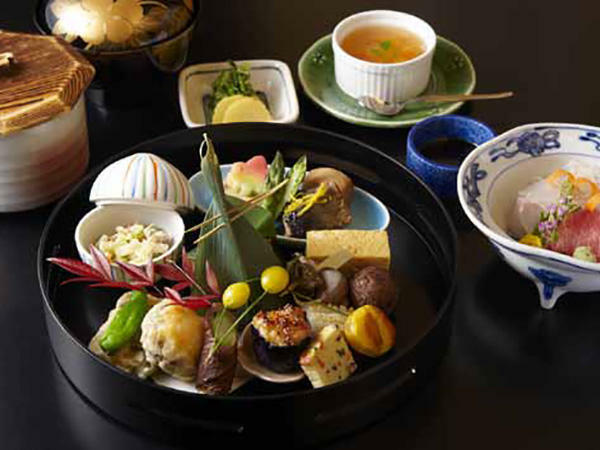 Shimamura’s “Bakumatsu kaiseki” full-course meal (Saturdays only) reproduces Edo era (1603-1867) flavors. 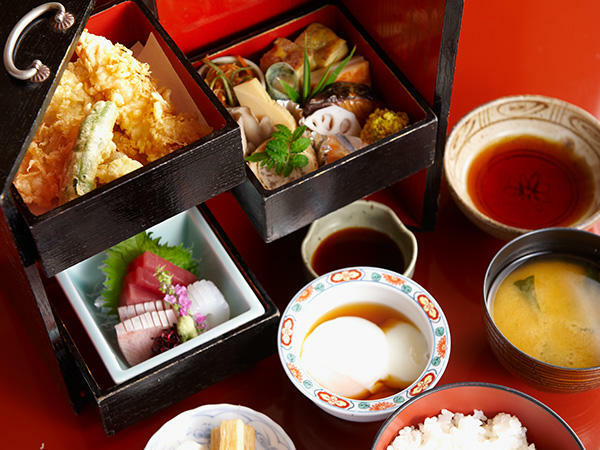 The “Shimamura kaiseki bento,” served at lunchtime, features assorted tidbits, sashimi, and small portions of deep-fried and simmered foods. Menus here feature seasonal touches typical of washoku. Mainly kaiseki full-course meals are served in the evening, although diners may order a la carte if seated at the counter. Lunch items range from reasonably-priced set meals to full-course meals. Yamato was the first restaurant to serve toro fatty tuna as sashimi. The menu also features other popular items like Japanese Hida beef steak or sukiyaki, enjoyed in an eclectic setting combining western and nostalgic Japanese décor. 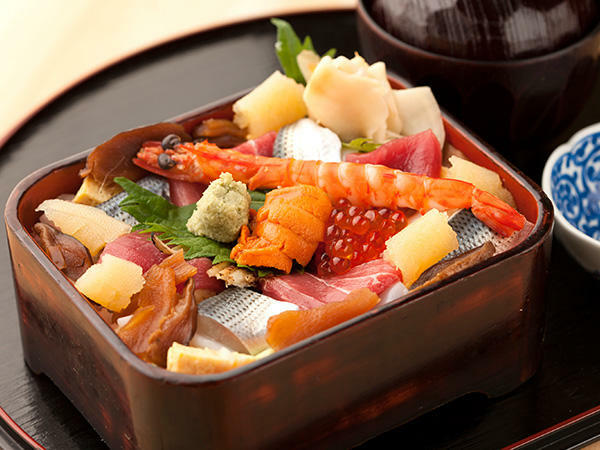 Specializes in traditional Japanese cuisine featuring the freshest of ingredients, and colorful modern Japanese dishes. Lunch sets feature sashimi and tempura, and an extensive menu of sake and shochu distilled spirits is available to accompany evening meals. The first washoku restaurant to earn a three-star Michelin rating. Dishes made from the freshest, most colorful seasonal ingredients are served on tableware created by master craftsmen. 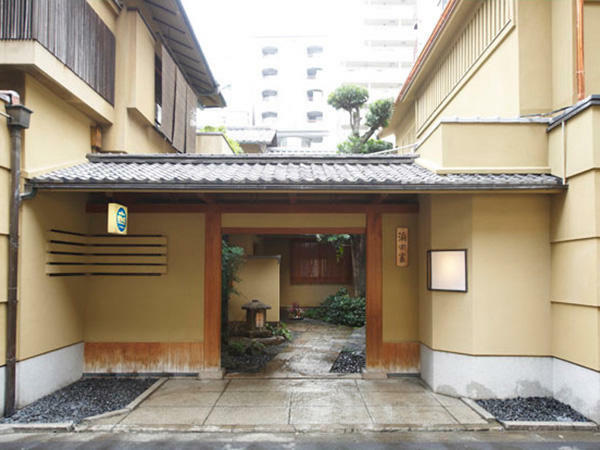 The essence of Japanese cuisine in a traditional sukiya architecture setting. Kaneman was the first restaurant in Tokyo licensed to serve pufferfish; today, it serves full-course pufferfish meals. House-made ponzu citrus and tare dipping sauces for deep-fried morsels are a distinctive feature of this restaurant, which serves tasty meals accented with seasonal touches. 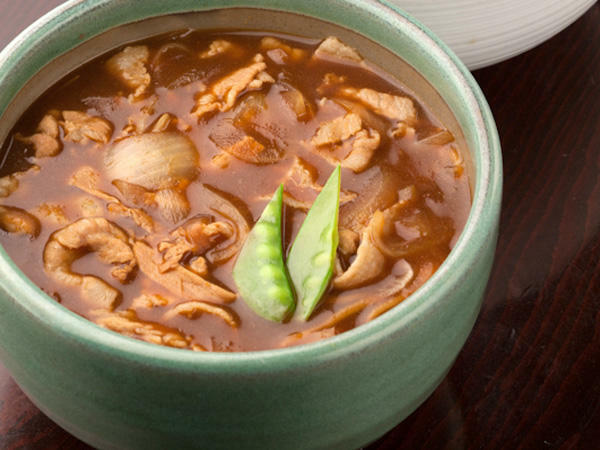 Toriyasu’s specialty is sukiyaki featuring aigamo duck meat. 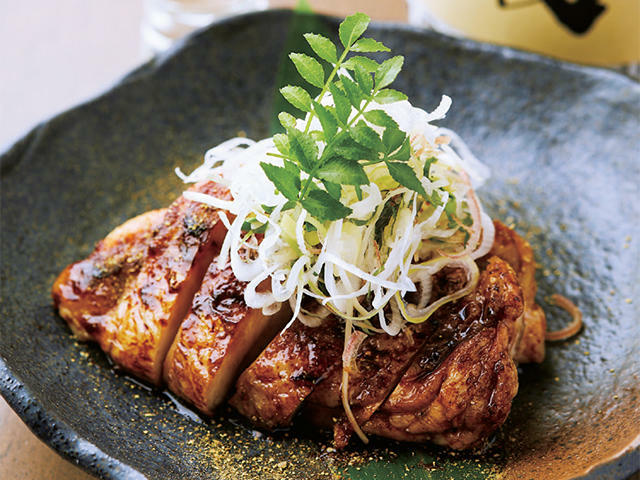 Various parts of the bird are grilled in a pan over charcoal and served with a simple dressing of soy sauce and grated daikon radish to highlight its rich flavor. 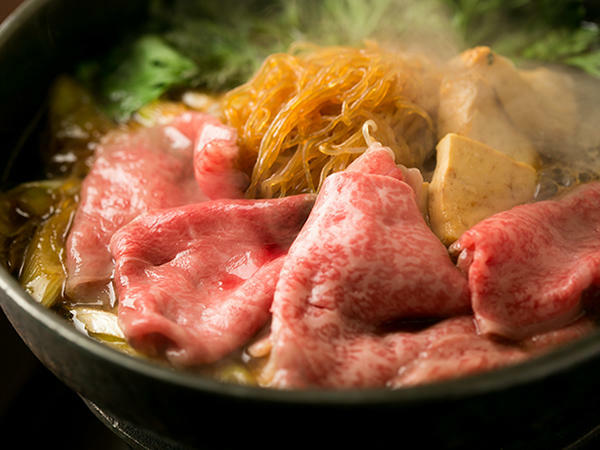 Serves sukiyaki, shabu-shabu and steaks, using the finest Japanese beef. 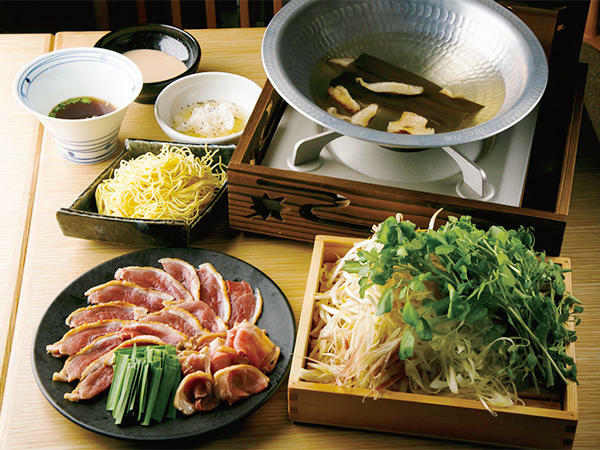 The sukiyaki is cooked at the table by a server to ensure the finest of dining experiences. 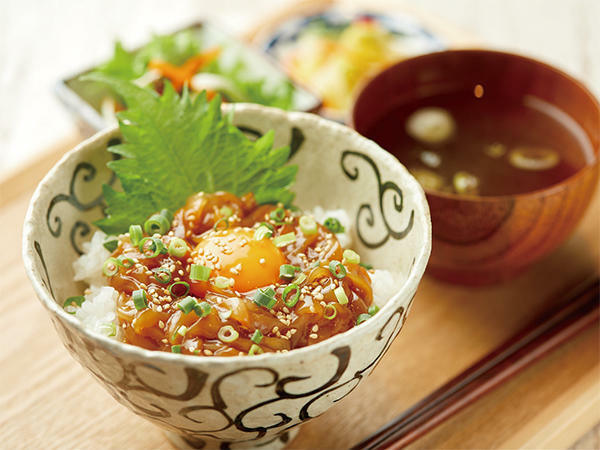 Tamahide invented the popular oyako-don, a dish of chicken and egg on rice flavored with dark soy sauce and mirin sweet seasoning. 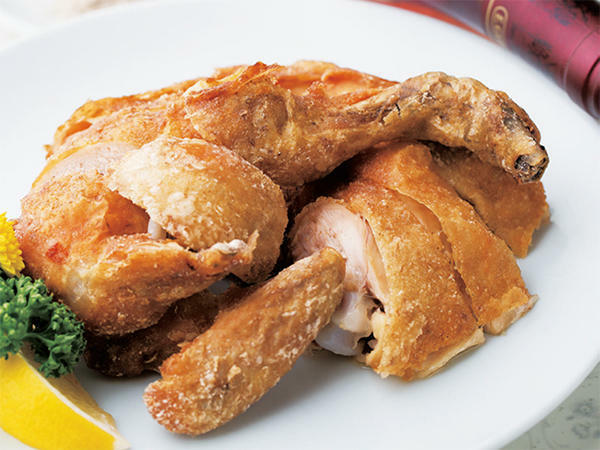 The poultry and eggs are sourced from contracted suppliers of Shamo game fowl. All seating is Japanese-style. Full-course meals featuring Shamo are served in the evening. 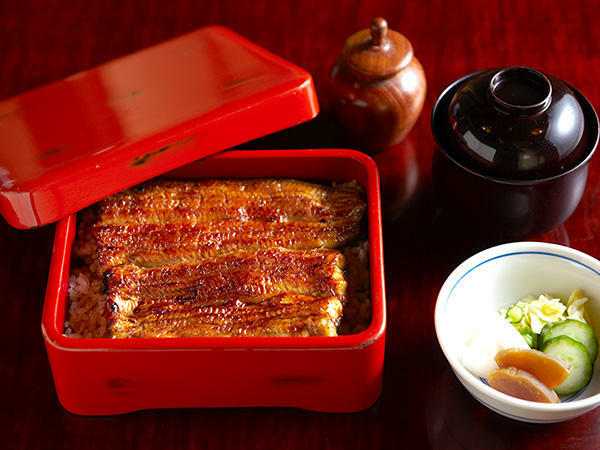 The chicken and eel served at Toritoku are delivered fresh every day and prepared in-house. 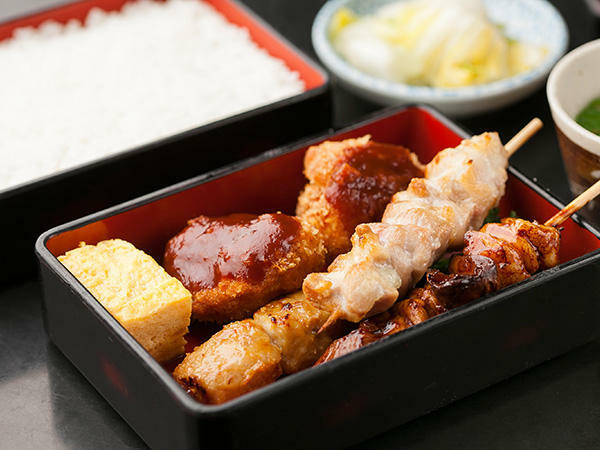 The sukiyaki-flavored chicken hotpot is very popular, and fans flock here for the yakitori, grilled chicken on skewers, brushed with a distinctive sauce. Confectioner serving traditional Japanese sweets like soft rice balls in red bean syrup and delicately shaped cakes that vary with the seasons. All desserts are house-made by hand. 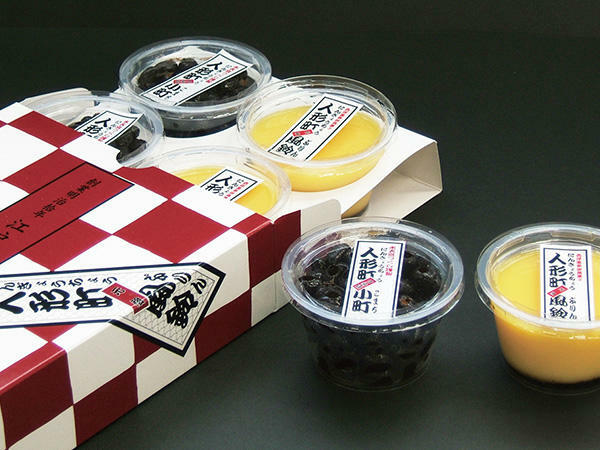 The “Ningyocho Furin” custard pudding follows the recipe devised by the shop’s founder. A popular spot for traditional Japanese desserts, served with mild green tea. 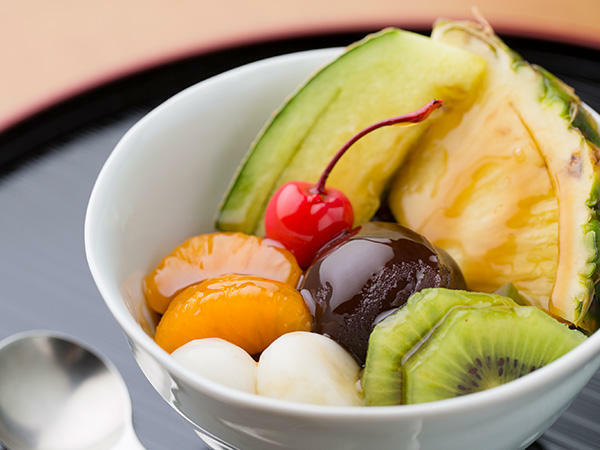 Hatsune’s shaved ice desserts made using natural ice are popular in summer. Okonomiyaki savory pancakes are served on the second floor. 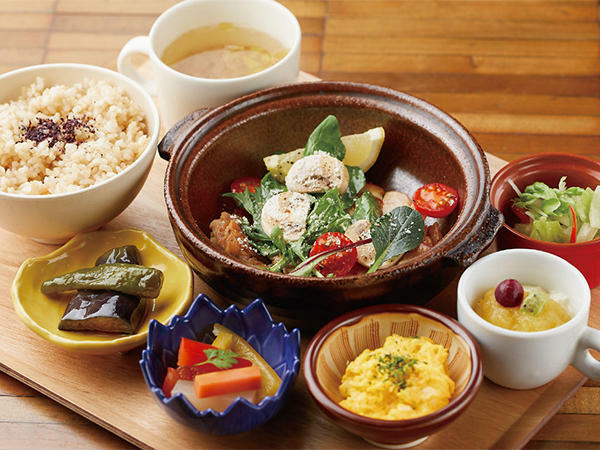 Koharuken serves popular, reasonably-priced dishes like hamburger steak and curry rice. 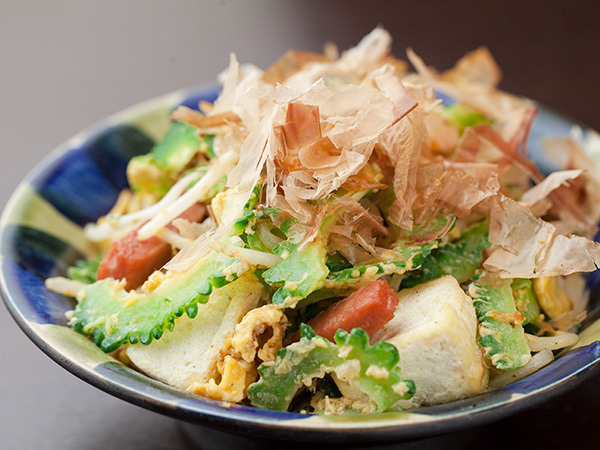 The featured dish here is katsudon, deep-fried pork cutlet on rice, topped with a savory mix of egg and vegetables. 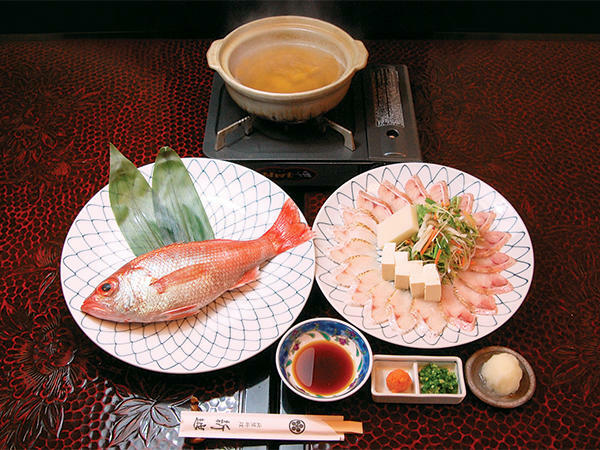 Amongst the city’s sukiyaki restaurants, Iseju stands out due to its long history. The secret to their especially delicious, tender meat is slicing while carefully keeping an eye on the grain of the meat. As well as this, they have handed down unchanged a sukiyaki sauce which holds back on the sweetness to provide a refreshing taste.